Check out this recent interview we did with L.A.-based magazine The 405. We had an absolute blast working on this interview with the Black Birds ladies. One of our favorite interviews to date. Read the full article here: Native Black Birds x Weekend Society. Can't wait to soon share the new Fall pieces that what we have been working on all summer. We sat down with Framework Law recently at a Marina Del Rey coffee shop and talked all things WKND. Check out the full interview here: Framework Law August Feature. 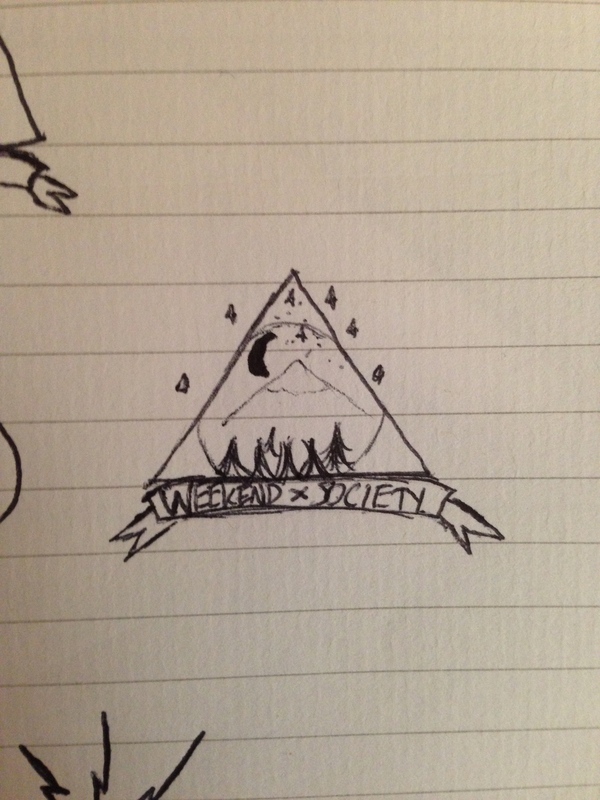 We are so grateful to have such talented friends to help make Weekend Society what it is. The latest photos that Alexandra Wallace did for us are a perfect swing into Autumn vibes. Look for them popping up over the next few months. A while ago we posted an interview we did with Festival Fashion Week (Read Here). We have had a great time working with the FFW crew so far and are excited to see the unfolding of their events this upcoming spring season. As part of the interview, the FFW team took some of our line's staple pieces down to the beach for a photo-shoot with photographer Piper Rastello. The results (even the outtakes alone) were amazing. So much so, that we decided to share the shots as a gallery in our latest "Behind the Business" feature. Check out the gallery above by clicking on the pictures. Wonder what takes place at a #wkndsociety shoot? 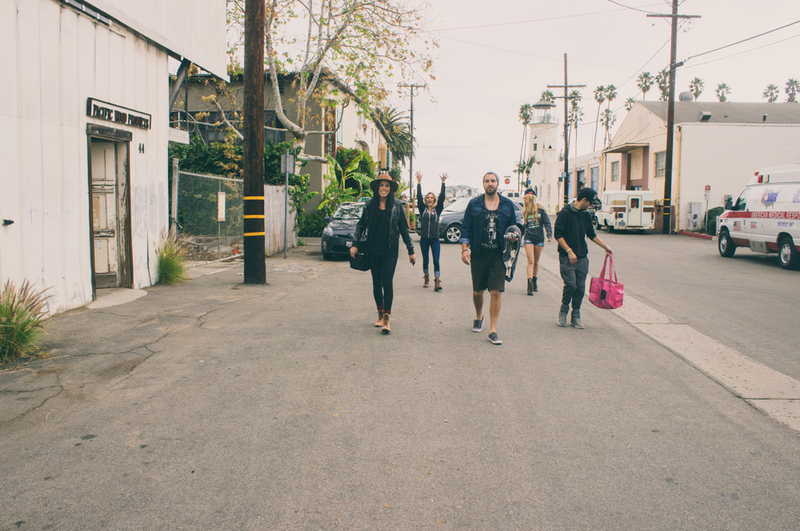 Take a look at some of the candids from our last photo-shoot in Santa Barbara up on now on Alexandra Wallace's blog. From the very first day of Weekend Society we've worked hard to build a Society of dreamers, artists, and lovers of life. A perfect example of our mission in play happened last weekend when Jason and I met up with Alexandra Wallace, a talented and up and coming photographer. She reached out to me after finding us on Instagram and expressed interest in organizing a photo shoot. We set a date for February and the rest was history. It is days like that day that remind me what Weekend Society is all about. We were all strangers who came together through different forms of art to take a risk and try something new. It was an adventure that no one could have anticipated would turn out so well. I am so incredibly grateful for the opportunity to work with such talented people on a daily basis. Together we help each other realize our dreams and create a world filled with beauty. It is a celebration of embracing the present fully doing whatever it is that makes you happy. A special thank you goes out to Alexandra for organizing the shoot, to the models and to the artists that did their hair and make-up! Let go. Let's go. 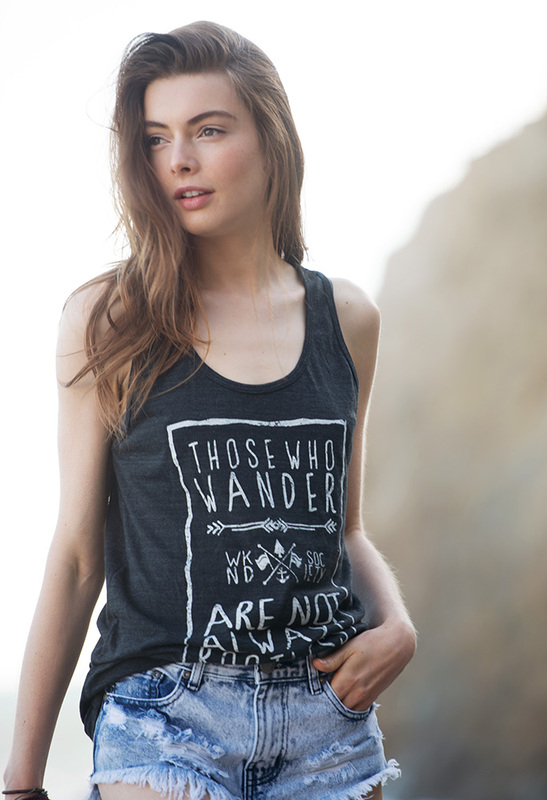 Run wild, run free, run into the wilderness. 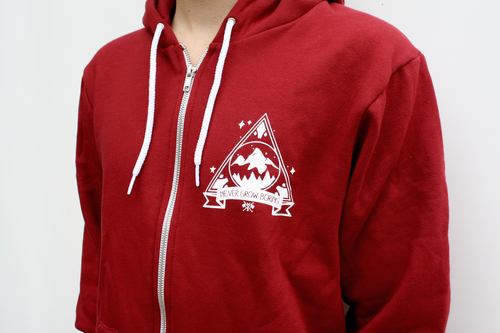 Today mark's the release of our latest piece, the BaseCamp Zip Hoodie. To help celebrate the new hoodie we decided to share a behind-the-scenes look at the creative process to craft this piece. Brainstorm: When we decided to add another hoodie to the collection we knew it would receive a winter release. This gave us one of the initial ideas to incorporate mountain themes in the design. 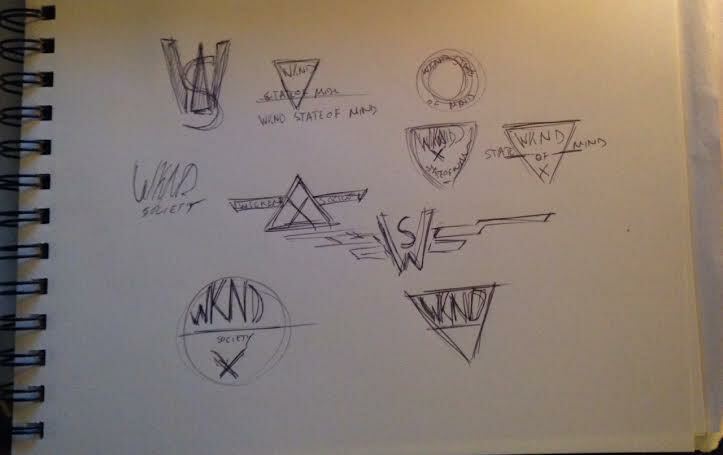 In this same brainstorming session we touched on night sky themes and the broad imagery of "the wild west". 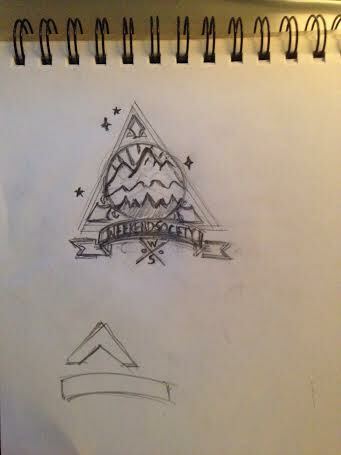 Sketch: While sitting at my desk one day I sketched a triangular patch design (shown below). I wanted to incorporate mountains, the stars I'm so fond of back home in Wyoming, and incapsulate these elements with a summer camp/wilderness vibe. My main reference point for similar styling was envisioning this design as a patch that a character in a Wes Anderson movie might wear. Later, I looked at the placement of a chest logo and began brainstorming a place for us to include a secondary element with words. This evolved into the wrist design (original sketch below). Digital Revisions: I passed the sketches on to Andres and his first point of action was a digitization of the images, which were the first form of revision. He cleaned up the styling and referenced the sketch to create a bolder, cleaner chest element. Concurrently, he had been working on the design that became the wrist print. This was not initially thought of for this project, but it's Southwestern/Native American motifs fit in nicely with the overall design. His next move was to make the two designs work harmoniously as one overall design, so the chest patch received additional stylistic tweaks. Placement and Printing: We wanted the color of this hoodie to be bold, yet classy, so chose a cranberry hoodie accented in white. The white accents influenced our print color. The chest design had always been intended for the left chest panel. For the wrist element, we looked at wrist tattoo placement and the idea of having a mantra to look down at from time to time. We wanted to have one of our elements in a place that isn't normally seen in other products, to give this hoodie a little something to stand out from the crowd with.